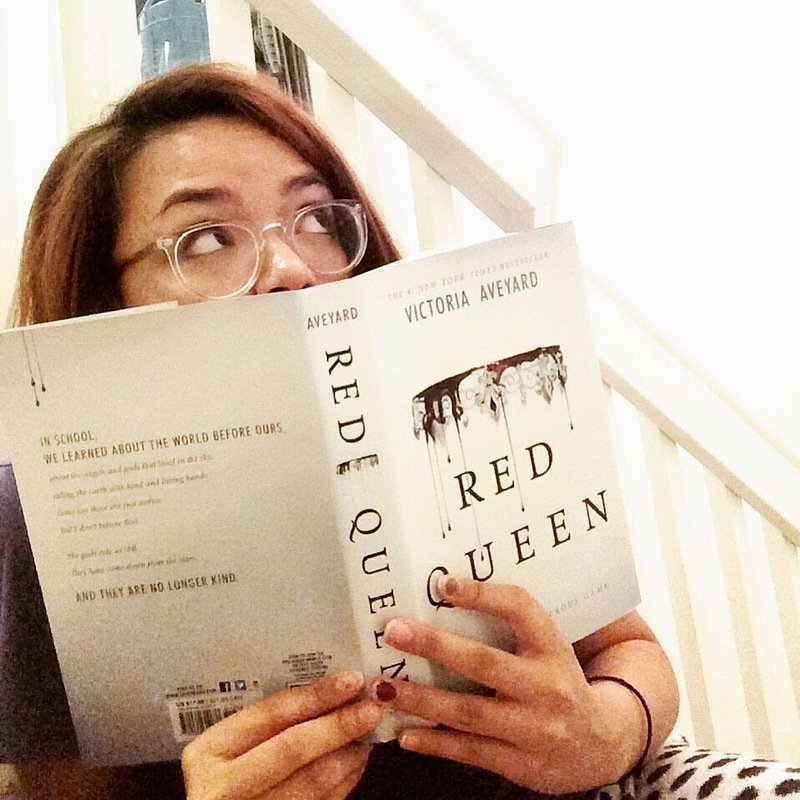 Red Queen by Victoria Aveyard will cause emotional turmoil and destroy all the trust you once held. We follow the tale of seventeen-year-old Mare Barrow’s, a common girl whose magical powers draw her into the dangerous world of the king’s palace. Mare’s world is divided by blood – those with Red blood are the commons, who serve the Silver-blooded elite, who are gifted with superhuman gifts. Mare is a Red, she is a common, and she is helping her family survive by being a thief in a poor, rural village. Her life was plain, and it was simple until fate throws her in front of the Silver court one day. Right in front of the king, princes, and all the Silver-blood nobility, Mare discovers she has an ability just like the Silvers. To cover up Mare’s anomaly, the king and queen force her to play the role of a lost Silver princess and betroths her to one of the princes. Soon she is drowned further into the world of the Silvers, unable to get away. In her new position, Mare risks everything in order to help the Scarlet Guard – a growing Red rebellion – even when her heart tells her to go the other direction, the impossible direction. The reader follows Mare as she plays this dangerous game that can cost her not only her life, but also the lives everyone and everything she cares about. Mare and the reader struggle for a positive outcome for both Reds and Silvers but there is no certainty, the only certainty is…betrayal. I experienced so many emotions. It got to the point that I wanted to crawl into a hole and cry. Aveyard does a great job making you fall with all the characters till the point that you see them as your children. Then…your children betray you and you just want to die. There are no words to properly describe the betrayal you will feel once you get to “THAT PART”. I have never been so emotionally abused by a story before. Mare’s character takes a while to “like”. At first she is a bit like Katniss, living in a bubble and only seeing the world in black and white. After the 70 page mark, she goes through a massive character development as she discovers that she has Silver powers as a Red. Other characters include: Kilron, her childhood friend. Kilron reminded me of Gale except Gale had a reason to fight and drive to live, while Kilron simply did not. Tiberias Calore VII (Cal), the first-born crowned prince of Norta and heir to the throne is unlike any other male character I have read before. Cal stands for what he believes in till the very end and does not let a girl cloud his judgment of what is right and wrong (unlike most lover boys in YA novels) which is god-flipping-tastic. Even when he is introduced in around page 50 you can tell see his high sense of morality. Maven Calore (my favorite character) is the second crowned prince of Norta and he is betrothed to Mare (reason will be explained once you read the book), he starts off a bit cold but he will warm up to the reader until you are madly in love. Maven caused me emotional turmoil, and he will cause the same thing to you my dear reader. I believe Aveyard did an amazing job writing the character, especially covering the ever so obvious hints, which makes the betrayal much more painful than it needs to be. My dear reader I wish to tell you what occurred to spare you pain, but I want you to feel the grand pain I felt when the betrayal comes…and I have already given too much away. Just know, the plot twist is obvious if you, my sweet reader, don’t become distracted with the kindness. Like most YA novels, there is an obvious romance aspect but it is not overwhelming and thrown into your face. The acute love square, triangle, line thing romance allows the story to progress smoothly as it ties in to events, causes and outcomes. My small complaint, and the main reason why Red Queen does not receive 5 stars from me is: riddled descriptions. There are some points in the story that the description is riddled and it is difficult to properly imagine the scene. Certain scenes, like the Mare’s power reveal, took a couple of reads to properly visualize, but even so the image in my head was not very clear. Don’t be disheartened by this sweet reader, it is only a few sections where these riddled descriptions happen, rest of the scenes are clear enough to picture in the little theater in your mind. i have been hearing so much about this book. thanks for the review.